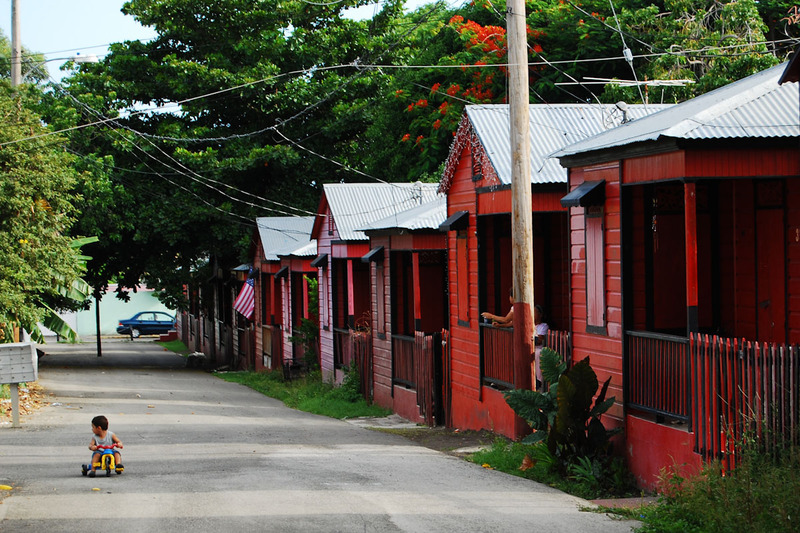 Years ago, on a trip to Ponce, and Gerry took me to see the houses built for the Ponce firemen. You know those memories that stick in your head and constantly poke at you as if to say “Go back and see them again.” I was never sure that the memory was real and not some fantasy, or at the very least some exaggeration of what I saw. Small surprise that thought! Every mentioned of those houses was met with disbelief or denial. People plainly looked at me as if I were some fringe local making things up. I finally made it back to see them again. They are real! And they’re just as “cool” as I remembered them. “Who cares?” you wonder. 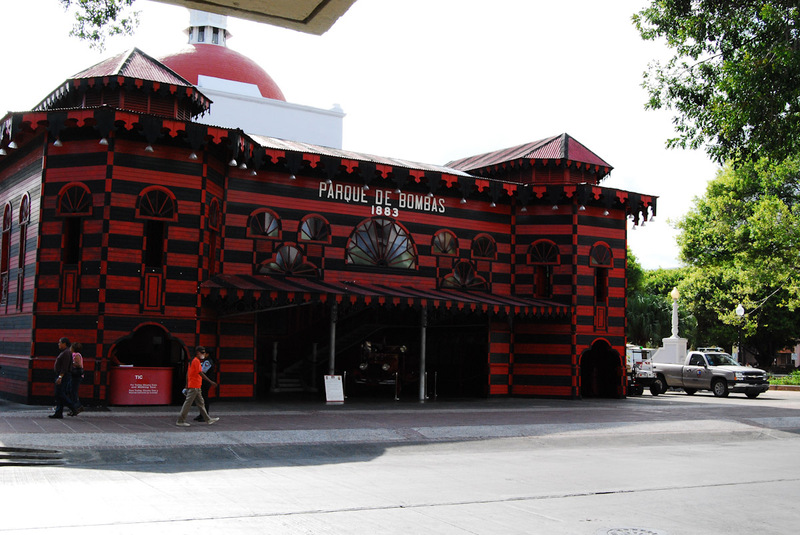 The Ponce Firehouse (Parque de Bombas) is the big attraction in Ponce, distinctively painted in bright red and black. No one goes to Ponce and doesn’t see that. 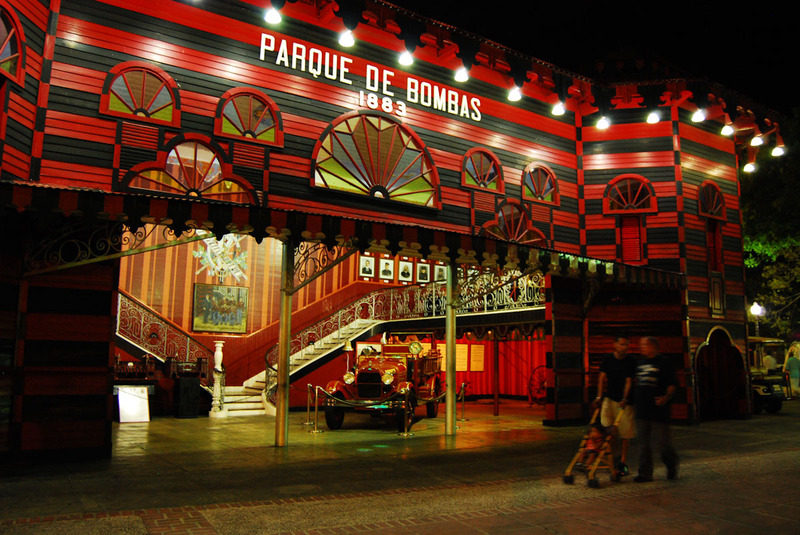 (It serves as the icon for Ponce as much as the garitas , the guard towers on the old Spanish walls, do for San Juan.) Who cares about the firemen’s houses? The houses were built starting in 1906, and each year a firefighter would be given a house in recognition of the heroics of 1899. 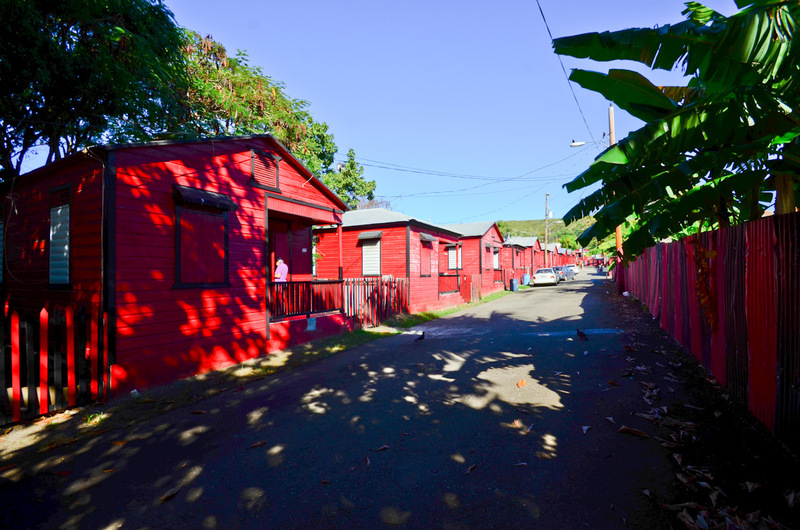 The street (25 de enero) got its name somewhere along the way, and in 1991, the houses and the street were restored. To get there, take Calle Reina Isabel (on the north side of the firehouse) toward the west – that means you’ll pass the Cathedral and the Ponce Plaza Hotel on your left). About 7-8 blocks down (counting on the right side), you’ll see one of the distinctive black and red houses on the corner. You can’t miss it. Park and then walk the street. If you go, find number 21 on the street called 25 de enero 1899, and talk to the owner. He’ll tell you the history, as well as the stories of the current tenants. It is a place you won’t forget, and like me, maybe you’ll seek it out on a subsequent visit. A little secret just for us two.